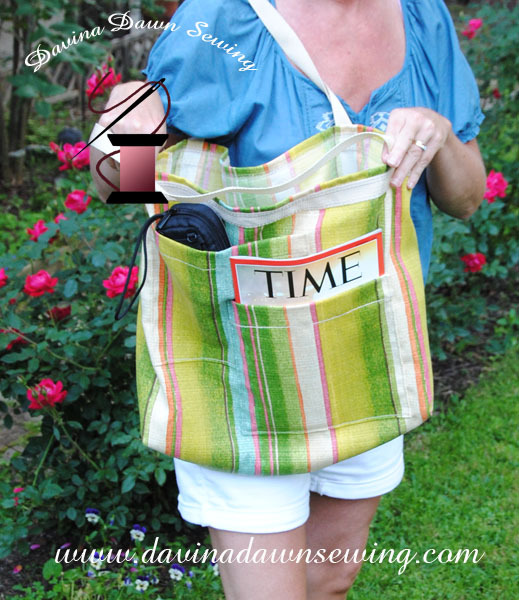 A fun and practical tote!! My previous post A Cushion for Fishing provided me with a great piece of leftover fabric, along with a few smaller pieces as well. I toyed with the idea of making another cushion, but decided that I really did not want to invest in another piece of foam, creating something that probably would not get used often. The more I eyed this fabric, the more I knew that it was perfect for a tote to be used for shopping, the beach, the library, etc. Leftover remnant pieces from cushion made. Perfect for the cushion that I made!! The colors are brilliant. They are also colors that remind me of our middle daughter Holly, as they are ones she is always drawn to. The more brilliant the color, the happier she is. As I worked on the cushion for my husband, my creative mind was trying to figure out how to use all the pieces in order to avoid tossing everything out. Two of the small square pieces, which were not of the exact same size, I decided would be used for pockets, but being a perfectionist, I had to think about how I was going to do this. But first things first. 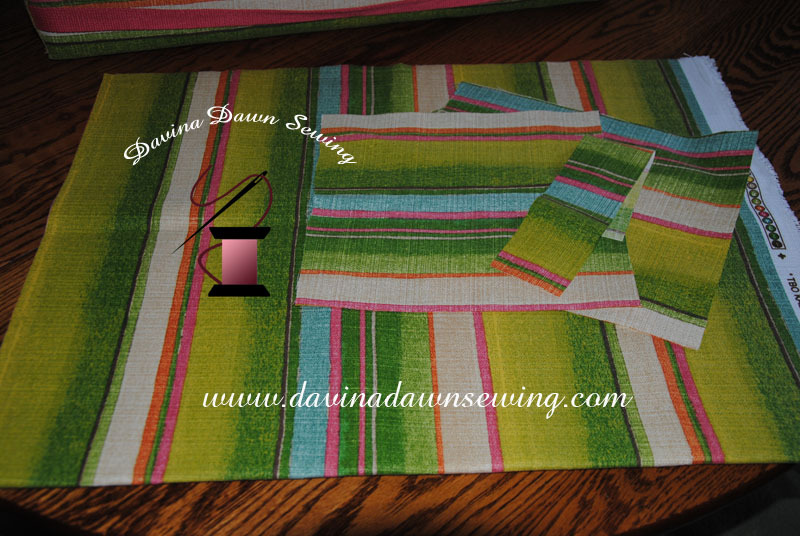 To make the tote, I first needed to square up the large piece and fold in half to determine it’s size. Next I selected a webbed strapping that complimented the tote perfectly. 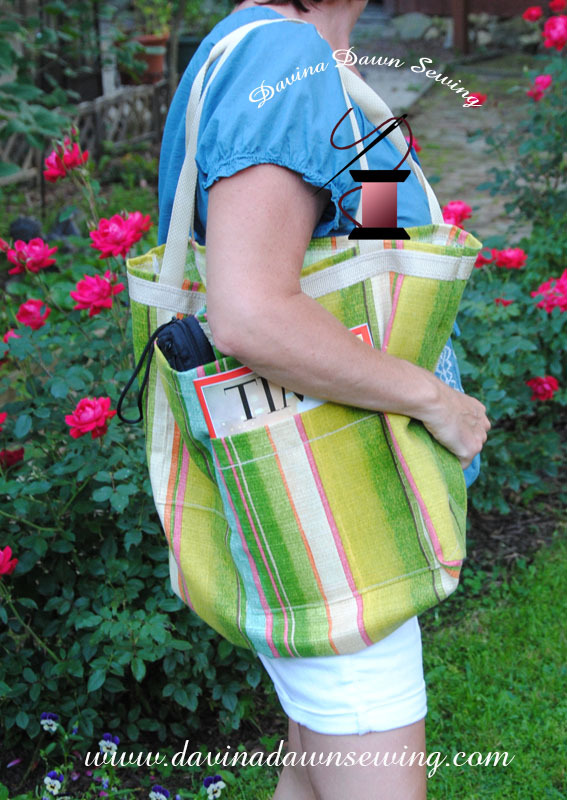 My preference for this tote, was to hem over the top, placed the strapping for handles followed by placing the webbed strapping along the top edge, securing with a strong, double-strength type stitch. Trust me, I am not planning on removing it because I will not be able to due to my desire for items I make to last a long time. I do not want the strapping to rip off any of the totes I make. I highly recommend reinforced stitching to all those who make their own totes. After the strapping is in place across the two tops of the totes, I decide where I want to place the pockets that I made from the leftover pieces. I’m not sure if you will be able to see them clearly in the photo’s but what I did was lined them up on one side of the tote, overlapping one, creating a dynamic effect, with unique pockets. Sewn and completed with webbed strapped, pockets and squared corners. 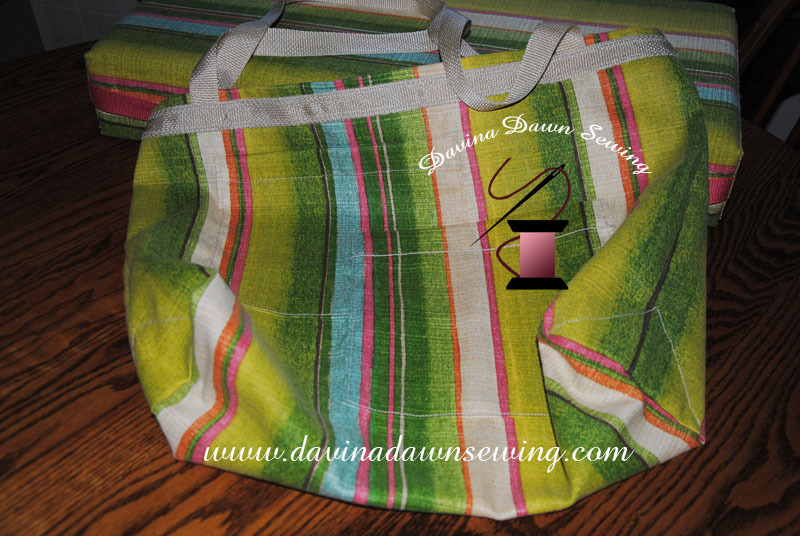 Once the pockets were sewn on, with the same strong, reinforced stitching, I completed the tote by sewing up the sides. 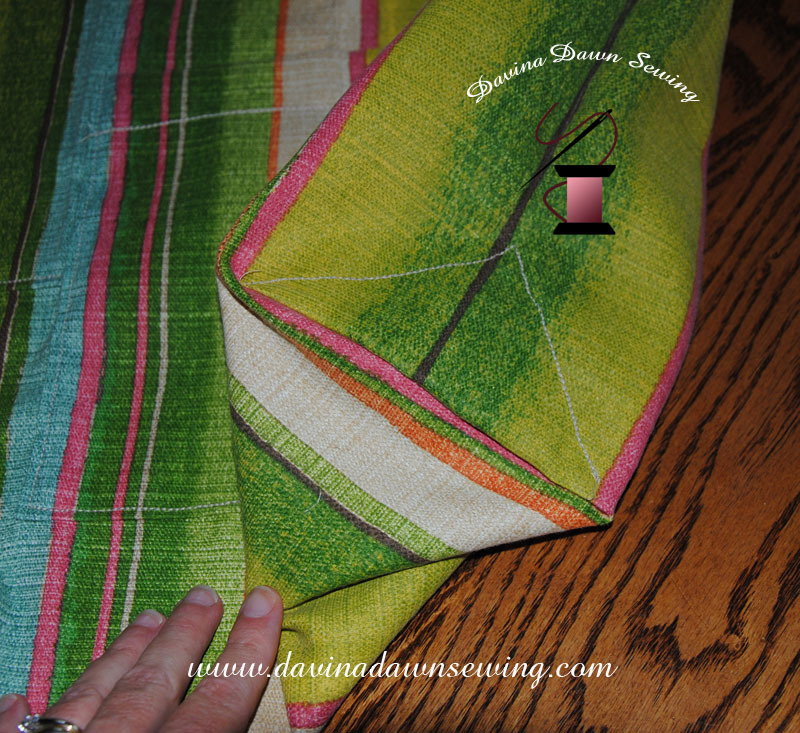 Again, the sides were sewn with reinforced stitching followed by serging the edges to avoid fraying. I needed to square the bottom. For me this is my preferred style. Once I decided how wide I wanted the tote, I sewed the corners, then reinforced them on the sides so that they would not get in the way or come apart. What I ended up with is a unique tote, large enough for the beach, but not too large to get groceries or books from the library (well, not for those who can handle heavy weights 🙂 ). I have yet to decide if I will use this myself for everyday use, give it away as a gift, or use as a picnic tote for when my husband and I go fishing together or head out on our rides into the mountains or to the ocean. So how much scrap fabric is left? Just a very small piece (approximately 2″ x 6″) that I have yet to decide whether toss or to make into something else. I’m thinking possibly a bookmark or two, possibly a change purse, or what about a gift card holder? My husband says “toss it”. Leftover remnant – toss or create? Please feel free to share your comments below – Enjoy! !